Ooops, messed up with this post. I didn’t really want to have back to back snow plow entries but I only realized that desire after putting together the video seen below. It would be a waste not to publish it so bring on the plows. 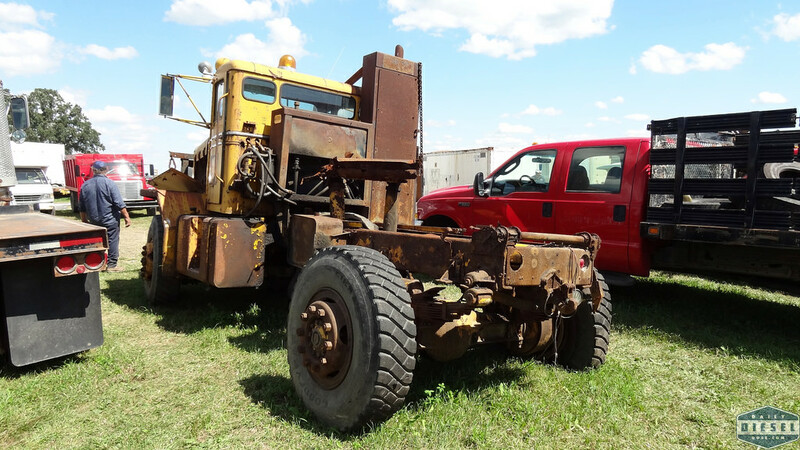 This lump of iron was up for sale at the Empire Farm Days auction. I’m unsure of the exact vintage but it seems old, like 60’s era old? I’m basing this guess only on pure speculation from observing certain trim pieces. 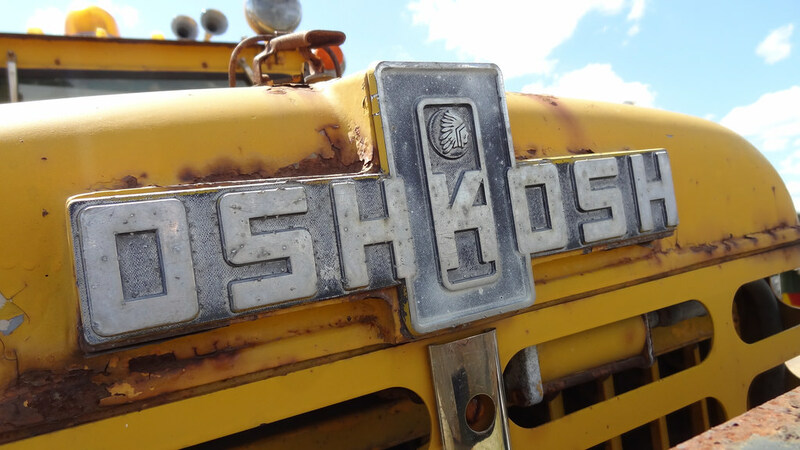 Once a Town of Fabius, NY truck this tired Oshkosh last had a safety inspection in 1996. 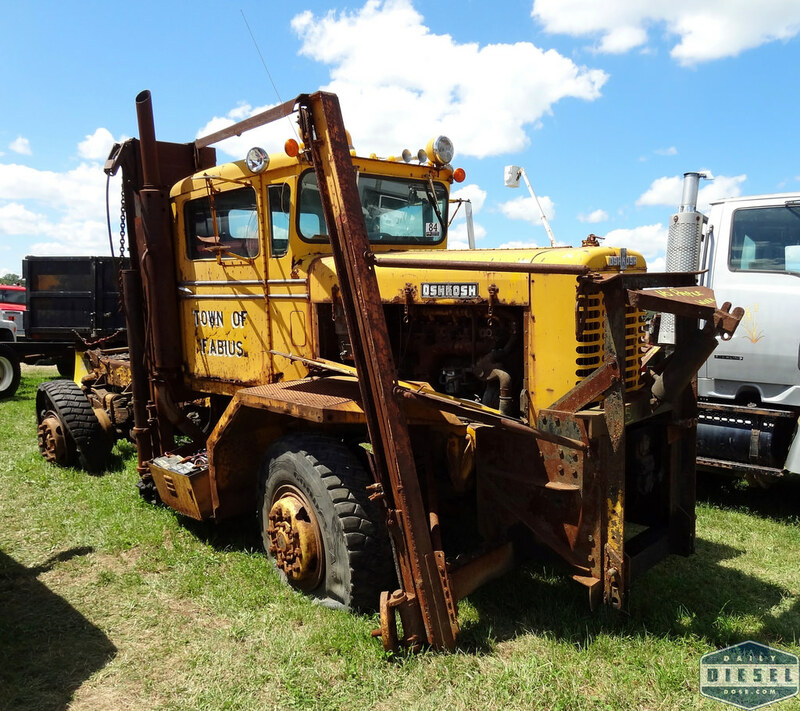 I wouldn’t be shocked if it spent the past 19 years sitting out behind a salt shed until it was dragged to Seneca Falls for the sale. 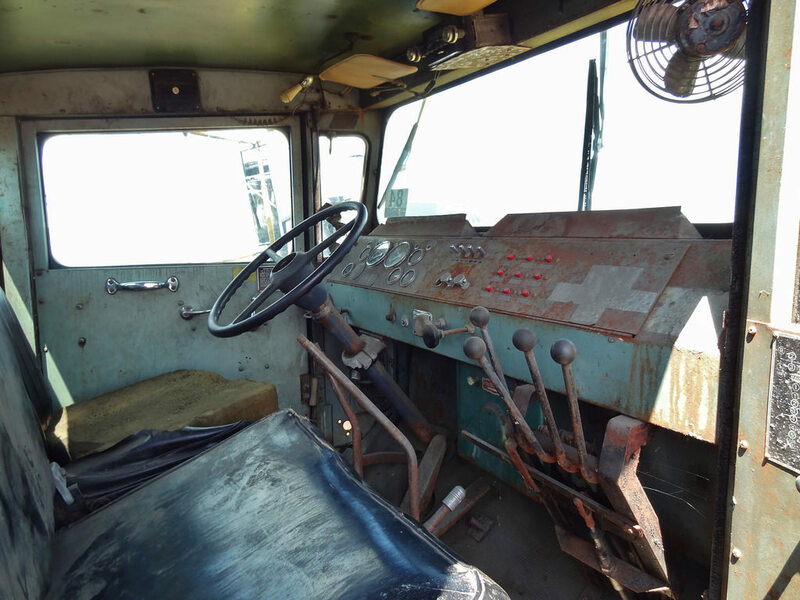 On the passenger side door was the handy shifting tutorial. Heavily rusted. Bad tires. Plow equipment removed. 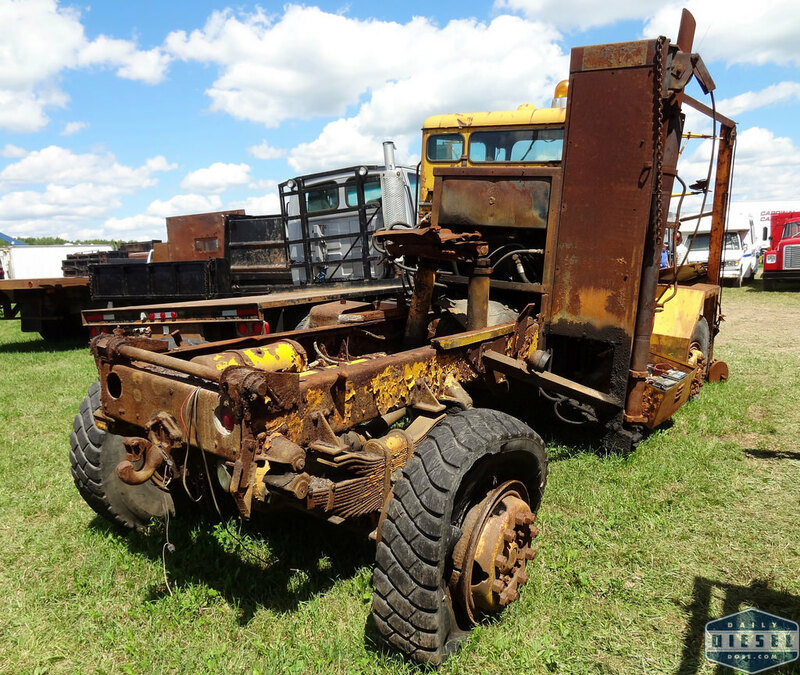 Scrap prices are low, low, low right now so I’m guessing this didn’t go for that much dough. So what do you think? Can anyone figure out an exact age? 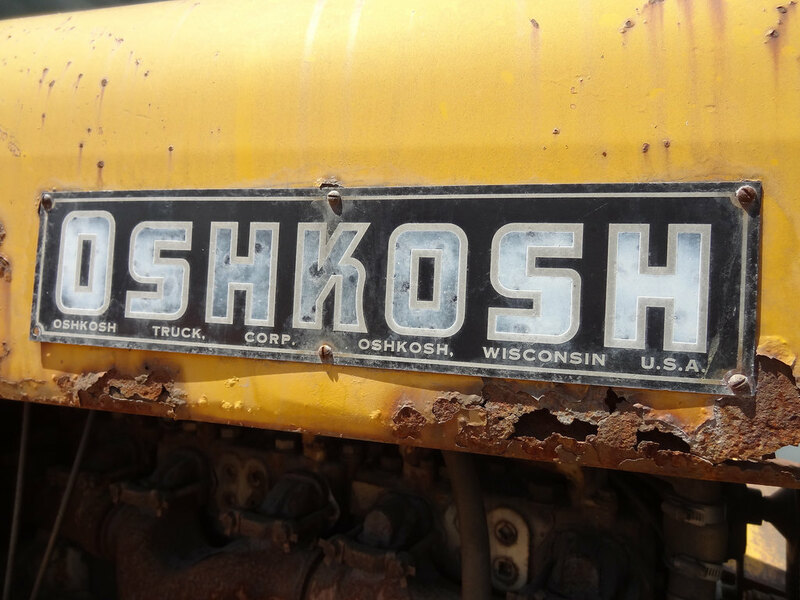 This entry was posted in Snow Plows and tagged empire farm days, oshkosh snow plow. Bookmark the permalink. I think it’s from the late 1950s.